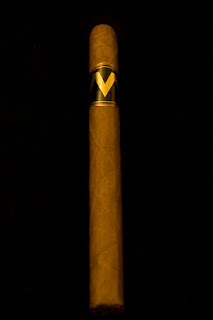 Size: 38 ring gauge x 6.5"
This cigar showcases our brilliant, high quality wrappers and provides an incredibly enjoyable smoke where the draw and the burn is guaranteed. 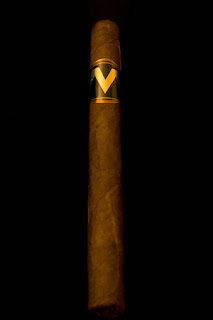 Our mild bodied cigar has an Ecuador shade grown wrapper from Connecticut seeeds and our medium-full bodied cigar has the incredibly rare pure natural maduro Arapiraca, Brazilan wrapper. These are under a limited release to select retailers. 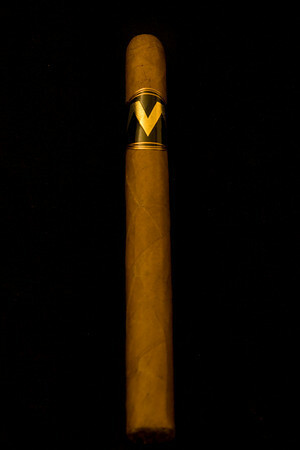 As with all Marco V Cigars - The Marco V Lancero will have a $6 MSRP. We will be debuting these cigars 8/26 at the Perfect Ash..